Valve announced today that there are currently over 30 million active Steam accounts and that its sales keep growing astronomically..
Everybody loves Steam. It's a great service and more and more gamers are adopting it as the distributor of choice for downloading and playing games on their PC. Today, Valve reported that the 30 million accounts it currently boasts is the result of 187 percent growth in the last 12 months. In addition, actual sales in the last twelve months have increased over 200 percent from the same period the year before, marking the sixth straight year of such an increase in sales. In short, Gabe Newell is loaded. "Steam is on track to record the biggest year in its six year history," said Gabe Newell, president of Valve. "We believe the growth in accounts, sales, and player numbers is completely tied to this work and we plan to continue to develop the platform to offer more marketing, sales, and design tools for developers and publishers of games and digital entertainment." More impressive are the amount of gamers who access the service. Valve reports that peak users hit the 3 million mark this year, with another milestone of 6 million unique users accessing Steam in one day. To cover all of that bandwidth, the Valve servers can now stream up to 400 gigabytes of data per second. For those of you wondering, "Hey, how many times a second can Valve distribute the Oxford English Dictionary over Steam?" Well, for those of you stumped by the obvious question that popped into everyone's brain, the answer is 92.6 times per second. That's a lot of words, people. Anyway you cut it, Steam is a success. 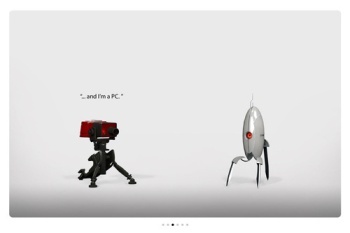 But, of course, you PC gamers already knew that.